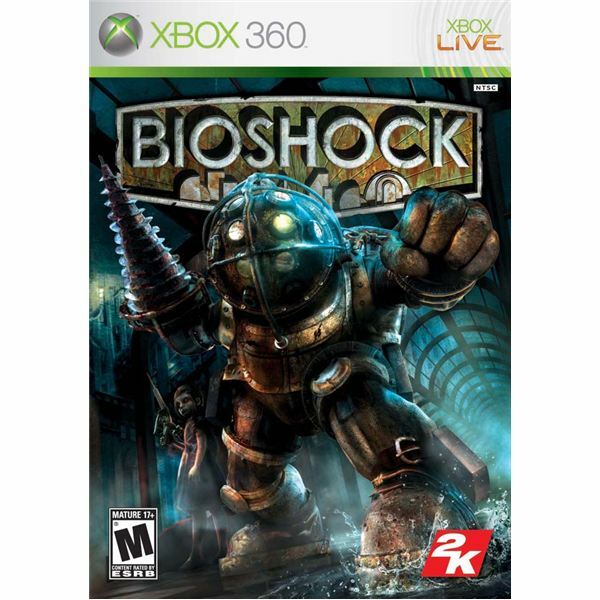 Bioshock is a 2007 video game developed by Irrational Games (then known as 2K Boston) and 2K Australia. It is a spiritual successor to the System Shock series that went on to overshadow that series. While it is a first person shooter, it is a rare first person shooter known for its story elements far more than being an action-focused video game. 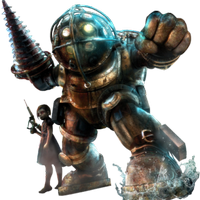 Bioshock tackles some many very interesting topics and ideas, most notably with a strong focus on the idea of objectivism. It is a story about one of the most fascinating and talked about settings and characters in all of video games, and is one of the defining games of the last generation. And now is your chance to experience it yourself, through us. This will not INTENTIONALLY be a 100% run (mainly because hype achievements), but I will try to get every audio diary possible, to give the best possible view into the game's story and world. Last edited by kkslider5552000 on June 9th, 2018, 5:25 pm, edited 6 times in total. A lot of things happened in this city, most of them quite awful. We go to our first major area of Rapture, the Medical Pavilion. Surely only good things could be in this place! Our new magic power I mean super serious horrific, scientific, plasmid is telekinesis. Time to visit the doctor! It's more exciting than that sounds, I assure you. More Pokemon Snap here than on the Wii U. The world is stupid like that. Getting drunk, taking pictures, trying to kill before you are killed! Fond memories from Rapture! We finally move on to get to that submarine! But first, murder in the freezer! This title pun actually completely works, I assure you. I'm sure there won't be any more detours if we just give her this rose!